Shabbat is a time to gather with family and community to reflect, pray, sing, and spend time together. Learn more about Shabbat services at Jewish Reform congregations. We welcome all to our Shabbat services, which are participatory and filled with a variety of music and a blend of Hebrew and English prayer. Erev Shabbat services take place on Friday nights. Erev Shabbat services include an oneg. The name oneg means "joy of the Sabbath" and refers to a celebratory gathering on Friday nights filled with food and socializing. Onegs at Temple Beth Shalom are held before Erev Shabbat services and are a perfect opportunity to see old friends, make new ones, and enjoy some food and beverages. On the first Friday of most months, we host a First Friday Shabbat, which includes Tot Shabbat and a communal dinner (RSVP and payment required). The dinner is followed by a 45-minute Erev Shabbat service. 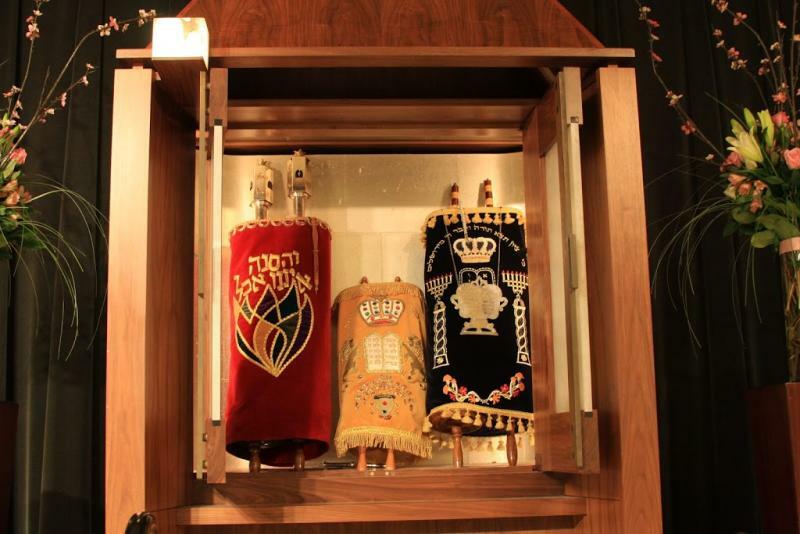 When we offer Shabbat morning services on Saturdays, they include a Torah and Haftorah reading. Services may deviate from schedule below. For a specific week, please refer to the calendar. 10:30 a.m. - We hold Shabbat morning services when there is a Bar/Bat mitzvah to celebrate. Please check the calendar to confirm specific dates.